Towing a heavy truck or a van may be different than towing other smaller vehicles, no matter what type or the tow truck. Nothing will get you into trouble faster than momentarily forgetting you have this huge mass of weight behind you. In most cases, that weight is capable of easily pushing you where you don’t want to go. Quick movements, jack-rabbit starts, and last-minute stops must be removed from your behind-the-wheel activities. Towing trucks are often abused, it’s very easy to have a truck matched up to a heavy load that weighs well over twice what the truck weighs. 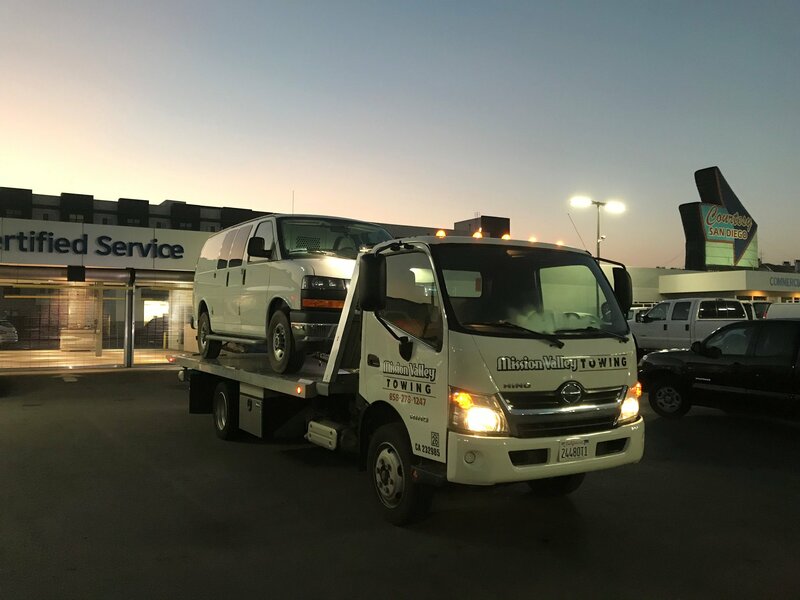 Keep in mind that even if the tow truck is rated to be capable to handle this massive amount of weigh, you must still take into consideration that carrying a ton of weigh makes a big difference in the way the tow truck operator should drive. 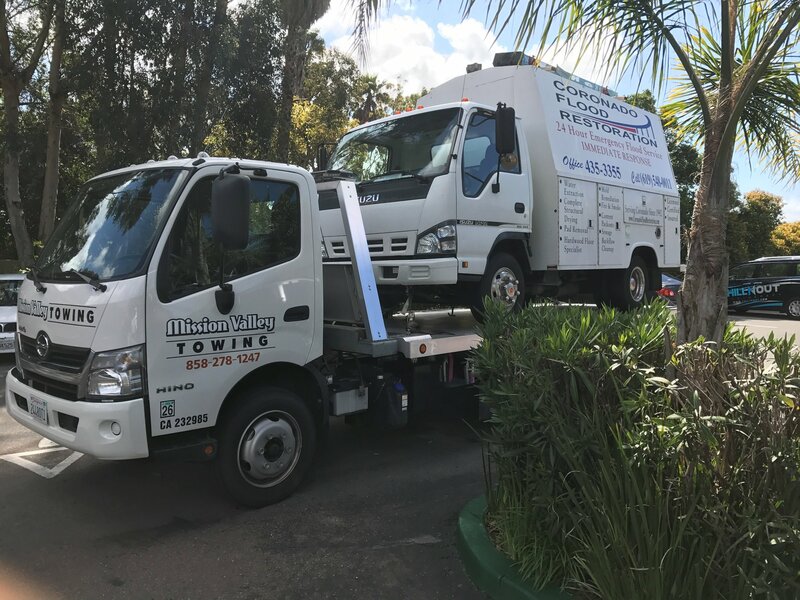 We provide expert heavy duty towing across all of San Diego County. We have the heavy duty tow trucks and equipment to handle any vehicle including semis, buses, RVs, tractor/trailers and heavy construction equipment. 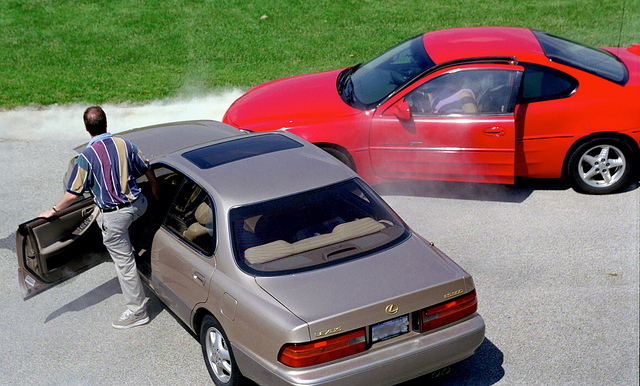 Stopping when you are towing a truck, van or trailer will become a learning process. Most electric brake controllers available today operate on the principal that they start with light brake application and ramp up or increase the tension on the brakes the longer you hold your foot on the brake pedal. In this way, the brakes will gradually slow you down without locking up the trailer’s wheels (which could put you in the position of an uncontrolled skid). This is all well and good, as long as you give yourself plenty of time to slow down and ease up to stop signs. By leaving extra room between you and the vehicle in front of you, a gradual slowing and light touch on the brake will bring you to a smooth, controlled stop. The bad part of an electric brake system is when the unexpected happens. A panic stop translates into a situation where your trailer brakes will not fully apply, and you must rely on the tow vehicle to provide most of your stopping power. If you jam on the brakes, the same light application of trailer brakes will take place and over a second or two of time, the brake application pressure will increase until you finally have full application of the trailer brakes. If you’re following closely, those required 2 to 3 seconds just aren’t available, and the results can be disastrous. Also remember, if you lift your foot off the brake pedal, the trailer brakes release and, again, the 2- to 3-second hesitation will occur before full application will resume. How your trailer handles at highway speeds should be your second concern. With lightweight construction techniques being very popular, you can currently match some quite large trailers to smaller tow vehicles. The larger the trailer’s physical size, the more wind and passing traffic will affect the stability of your RV. Poor loading techniques can also cause the trailer to sway uncontrollably. Proper loading is required to avoid poor handling characteristics with an RV trailer. A minimum of 10% of the total weight of your loaded trailer needs to be tongue weight for travel trailers (trailers that are bumper hitched) to avoid swaying or tail wagging. A trailer that’s loaded rear heavy can easily drag the tow vehicle back and forth across many lanes of traffic and put you completely out of control. I know this from personal experience, as a utility trailer with a couple motorcycles in it pulled me across 4 lanes of high-speed traffic when it started whipping back and forth on me. It was a valuable lesson I learned many years ago. By far the best handling trailer package is a fifth wheel trailer. With the pivot point being directly over the rear axle of the tow vehicle, sway and whipping is all but eliminated from the equation. A well-balanced travel trailer setup can handle almost as well, though a simple mistake in how you load that same travel trailer can make driving at highway speeds a complete nightmare.